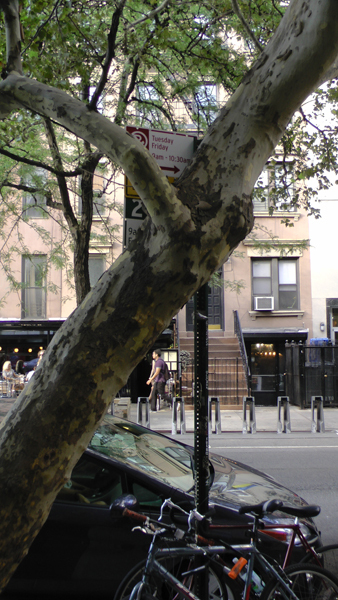 Whenever anyone thinks of the East Village, right after God and the flag, they think of freaky trees! a poem as freaky as an East Village tree! 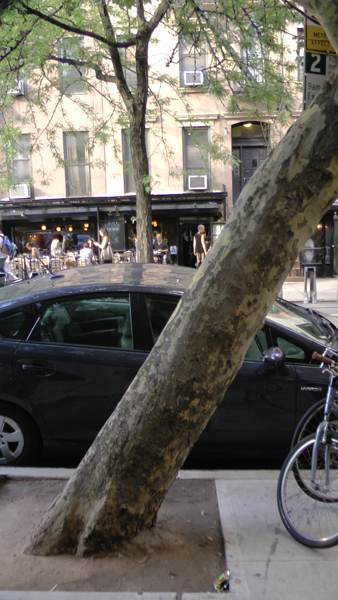 i foresee a new blog - the leaning trees of the EV. maybe you can get one of your interns started on that?